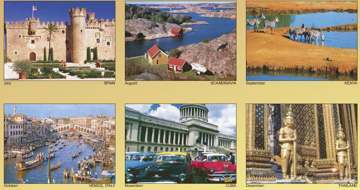 Bulk World Landscapes Calendars with 12 exquisite, high resolution pictures, printed on top quality glossy paper. 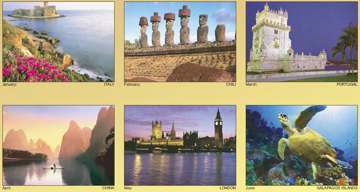 The wholesale world landscapes calendar has bilingual dates (English and French). You may combine them at no cost with other Discount Wholesale Calendars , as long as you order a minimum of 150 of each model. Free artwork design. We will send you a proof for your approval before production.